While volunteering recently at the Good Shepherd Mission, JSL member Misti was inspired by a young mother shopping in the mission’s store. The mother had a basketful of clothes and a few toys for her children. Misti was moved by the mother’s selflessness in only purchasing items for her children and nothing for herself. She was inspired to help and offered to assist the young mother by paying for her entire purchase. The mother gratefully accepted and was moved to tears by the gesture. Although in her words, “she didn’t do much”, Misti’s kindness had a profound influence on the young lady and her children. The money she saved that day will now be available for another day’s needs. How can you help today to meet a need in the life of another?? 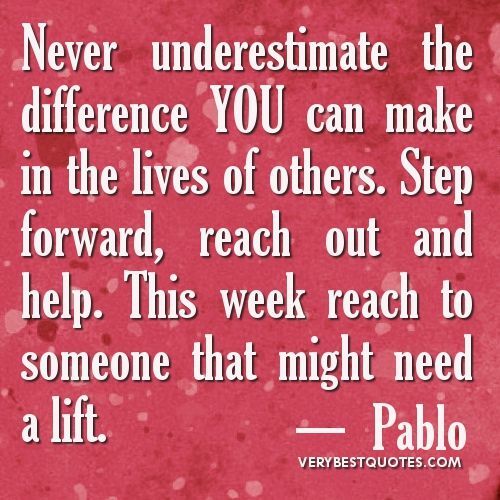 Even a small act of kindness, can be a huge influence on another person!